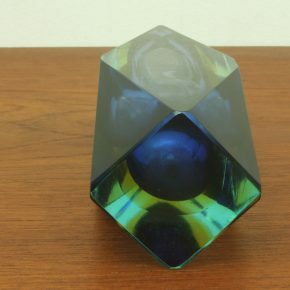 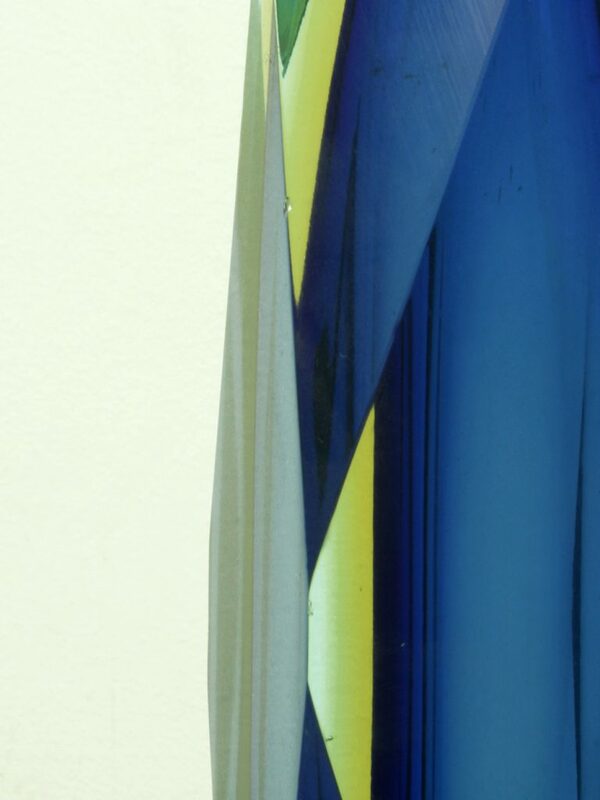 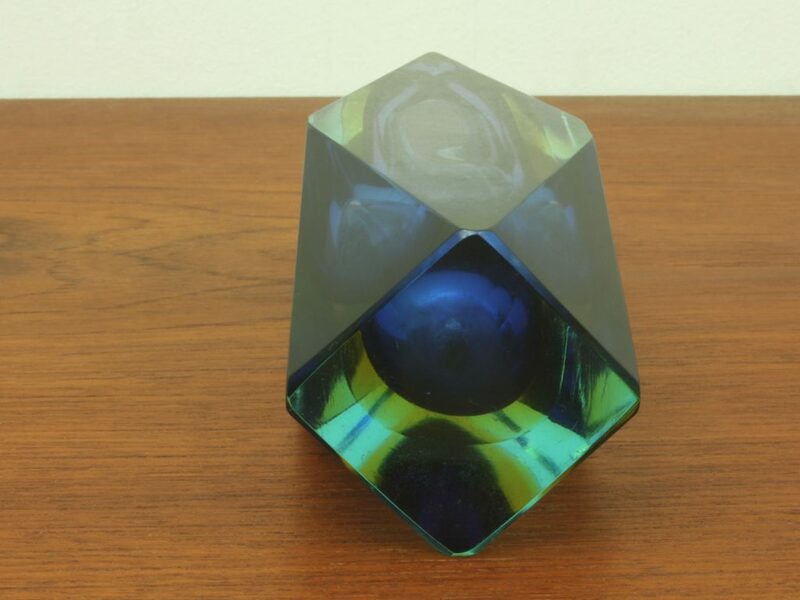 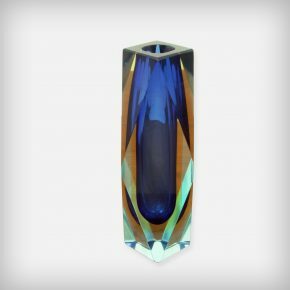 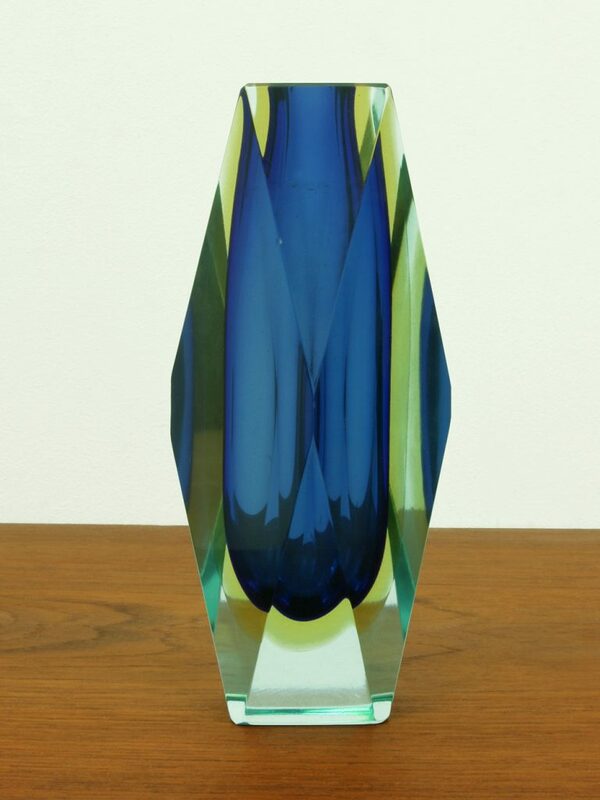 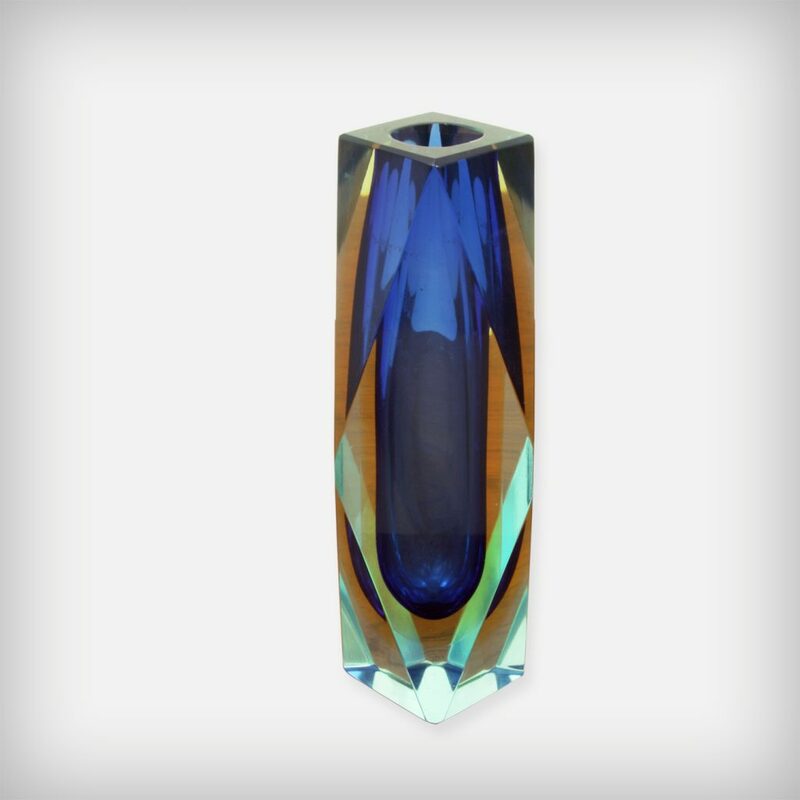 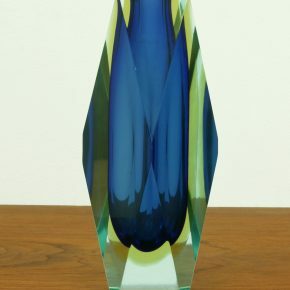 A beautiful blue, yellow and clear vase. 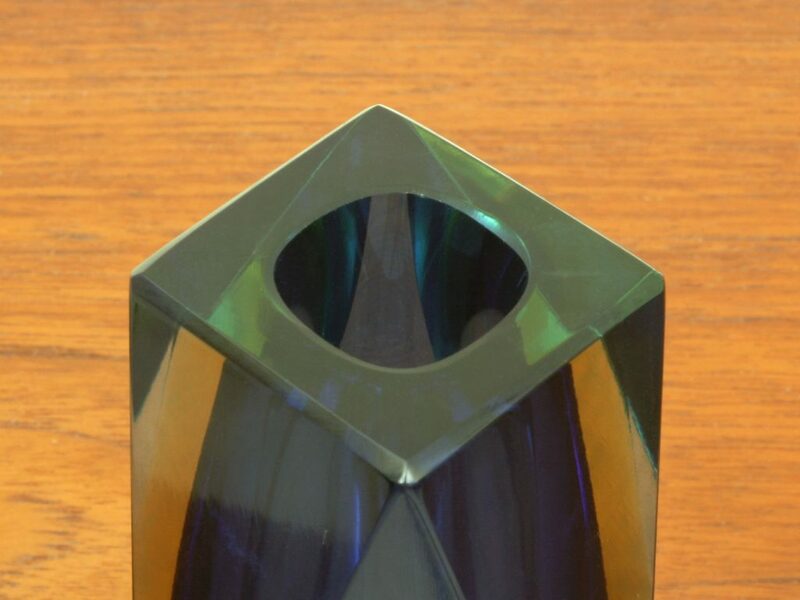 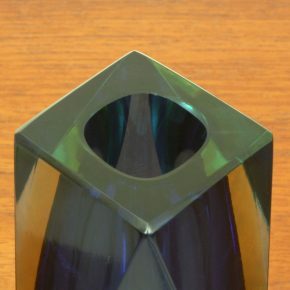 This vase has a tiny chip (as you can see in the pictures). 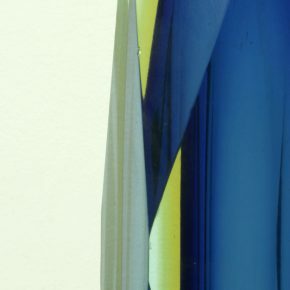 For the typical Sommerso technique they were using different layers of Murano glass.